❤️ July, October & March Events at Hedonism II. ❤️ Only 5 Rooms Left with 38 days to go. 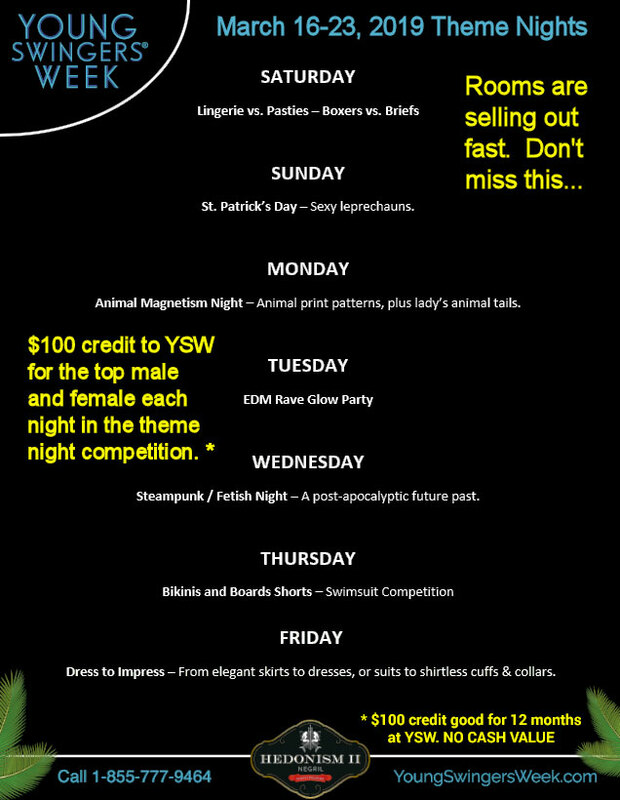 ❤️ March 2019 YSW - Only One Room Type Left to Sell Out. If you didn't book Friday you may want to call us to see if you can extend your stay. Ok, we know about Young Swingers week, when is old fuckers week? Whenever National Viagra Week occurs!